Staying healthy on the road as a trucker is not an easy thing. There’s always a greasy spoon minutes away, you spend your entire workday sitting down, and you sleep in a motel (if you’re lucky). 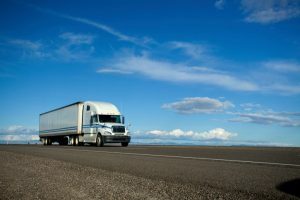 If you struggle to stay away from temptation and indulge in healthy snacks on the road, here are some simple healthy snacks you can bring with you on the road to stay healthy while truck driving. Apple and peanut butter is a classic childhood snack because it’s a delicious combination of fats and protein. Choose peanut butter or almond butter that is low in sugar to make sure that you are focused on health benefits and not just taste. If you aren’t a fan of apples, nut butters also make a healthy snack when paired with bananas or pears. Hummus and vegetables is another classic childhood healthy snack that is simple, portable, and delicious. Put 2 tablespoons, or one serving, of hummus in the bottom of a travel cup and then place some vegetables into it. That way you will have an easy way to bring your healthy snack with you on the road and a boost of healthy fats and protein to keep you going. Hardboiled eggs aren’t just for Easter anymore! Hardboiled eggs pack a huge nutritional punch in a very small package. One egg has a whopping 5-6 grams of protein in only 70 calories. You can purchase hardboiled eggs at most truck stops or convenience stores or make them before you leave for your long haul and take them with you in a cooler. As long as you don’t overindulge, trail mix is a great healthy snack for taking on the road. Grocery stores sell many types of premixed trail mix, but you can also mix your own with different nuts, dried fruit, and granola. Always read the nutrition label on packaged varieties to make sure that they don’t have too much sugar. This entry was posted on Friday, July 21st, 2017	at 3:01 pm	and is filed under Blog, Trucking Lifestyle	. You can follow any responses to this entry through the RSS 2.0	feed. Both comments and pings are currently closed.